I plan to run a ceiling fan/light to this switch which is already connected to an outlet. 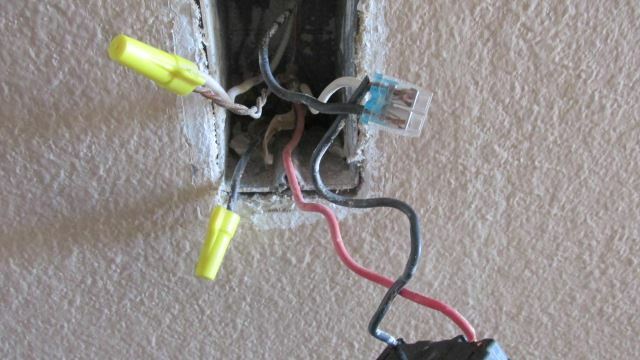 Can you explain this wiring and if it is safe? I don't understand how or why there is a black wire sitting alone or why the white (neutral) is attached to the ground wires. The hot is going into the connector, which is looped to switch, and also contains the wire (white) that supplies power throughout the rest of the room. Help please? Browse other questions tagged wiring switch ceiling-fan light or ask your own question.